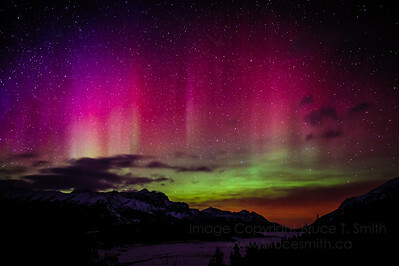 This was an amazing, colorful showing of Aurora Borealis over Abraham Lake, Alberta, in the early spring. 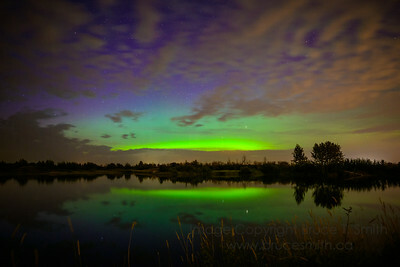 There was no moon, and the colors of the aurora really popped! 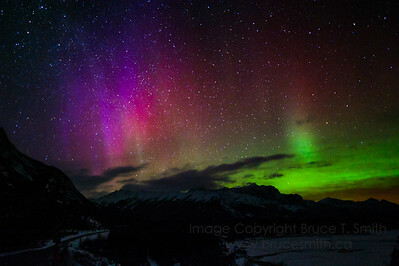 Another shot over the mountains near Abraham Lake, Alberta. 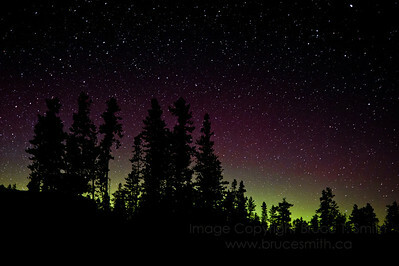 Aurora Borealis Panorama A panorama made up of 7 individual portrait-orientation images. 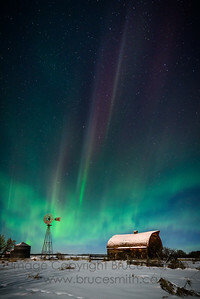 The full image size is 9674x3676 pixels! 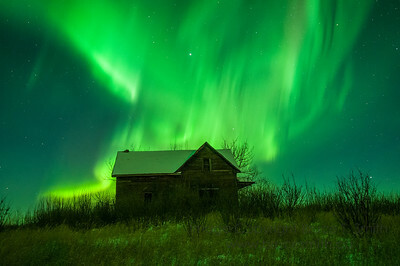 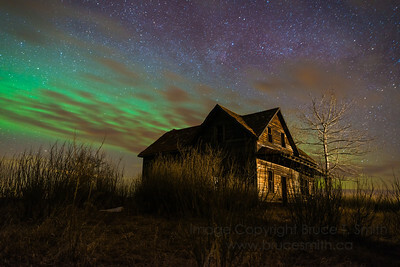 A magnificent display of Aurora Borealis over an old, abandoned farmhouse. 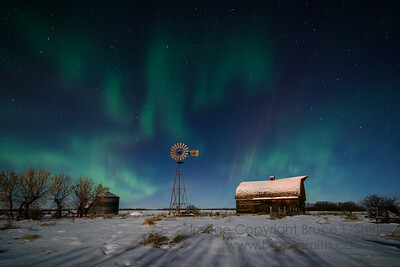 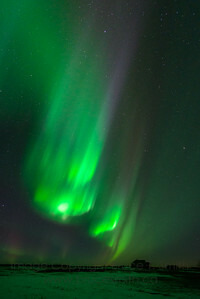 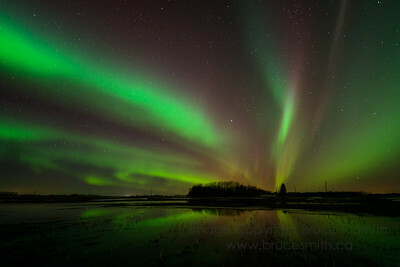 A beautiful display of aurora borealis over a grain field in early spring. 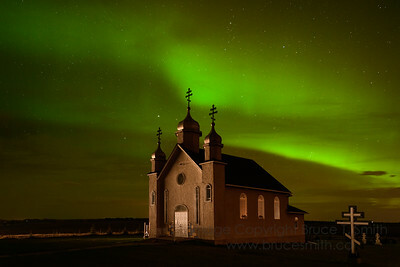 This old Ukrainian Orthodox Church was a great foreground for the beautiful Aurora Borealis display last night. 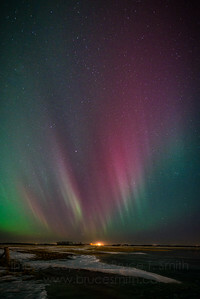 Another shot of the Northern Lights from the same location, about 15 minutes before the previous shot - amazing how the colors change. 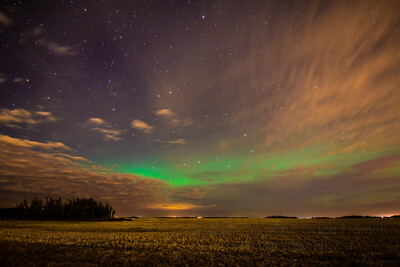 Although it was almost completely overcast, the aurora was still strong enough to glow through the clouds, and the long exposure gave the sky the amazing silky look. 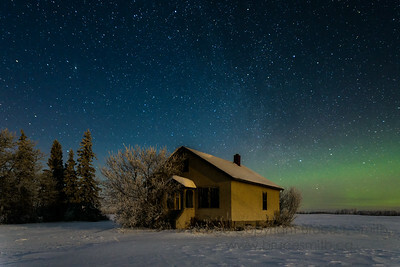 This is looking due north, towards the Big Dipper and the North Star, about 2 a.m. 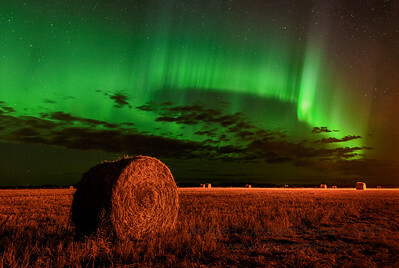 Although we were about 30 km north of Edmonton, the glow from the city gives everything an amazing reddish-orange tint. 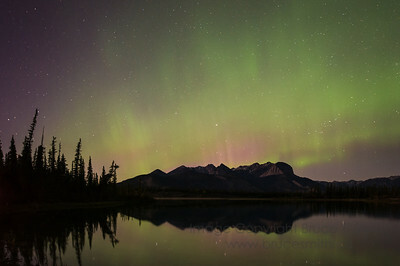 Aurora Borealis reflection Aurora Borealis over Jasper Lake, Jasper National Park, Alberta. 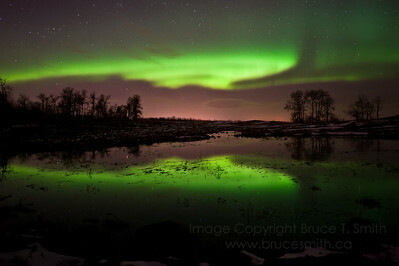 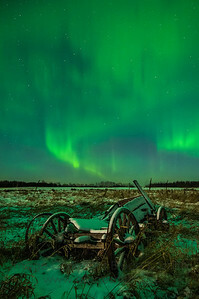 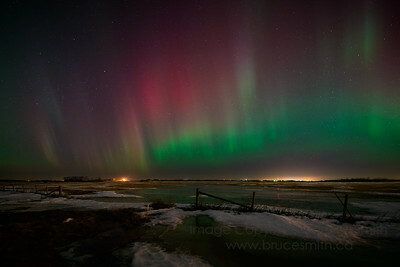 An amazing display of the Aurora Borealis over a melting spring field north of Edmonton. 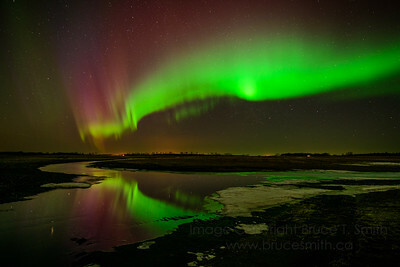 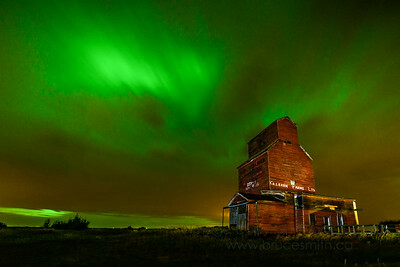 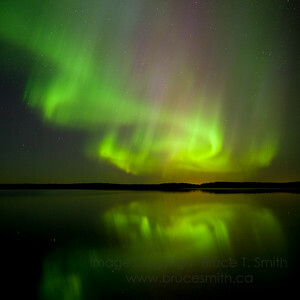 An amazing display of Aurora Borealis north of Edmonton. 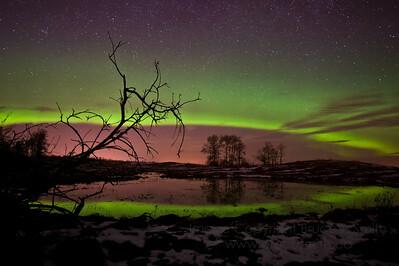 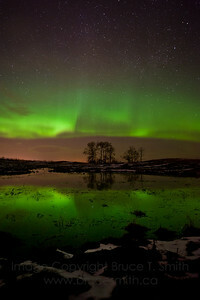 Amazing aurora arches and swirls reflected in the meltwater of a farm field. 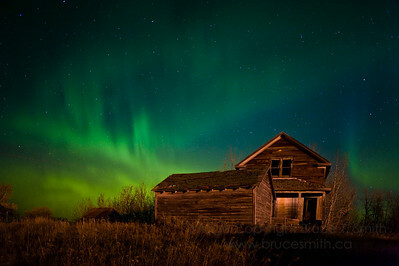 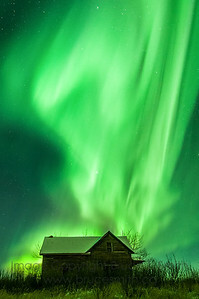 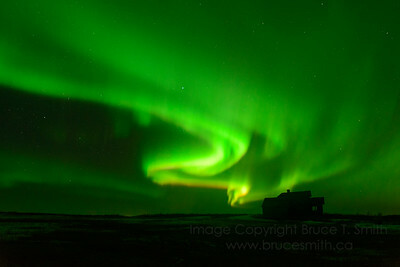 Amazing swirls of Aurora Borealis, silhouetting an old abandoned farmhouse. 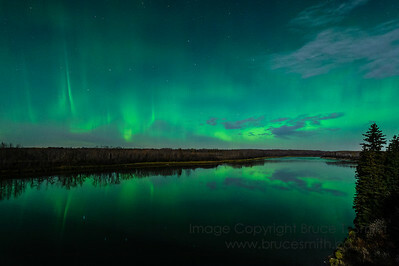 Incredible colors of the Aurora Borealis over a watery field NE of Edmonton, Alberta on March 17, 2015. 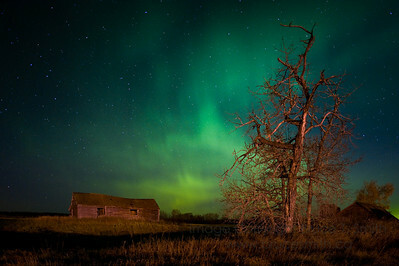 Pillars of Aurora Borealis over and abandoned farmhouse NE of Edmonton, Alberta.